These Android Wear partners are looking to join in with Google to make hardware for the search engine giant's wearables platform. New Balance has already made its athletic RunIQ watch; Movado has been cited as an upcoming Google partner multiple times. Misfit is owned by Fossil now by way of an acquisition a few years ago. ZTE has already crafted its Quartz smartwatch for Android Wear, with a good price tag that we only hope other Android Wear partners emulate. Verizon just launched its Wear24 Android Wear smartwatch last week, but brands like Hugo Boss, Tommy Hilfiger, and Guess look to add their own contributions. Emporio Armani looks to be another Fossil-owned brand that will contribute to this field. Mont Blanc recently launched its $890 MontBlanc Summit (though it lacks both NFC and LTE). 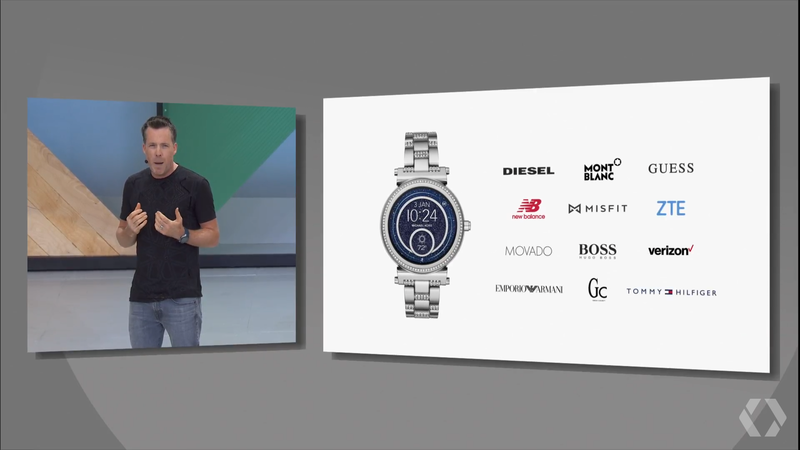 Android Wear was founded by Google in 2014 and announced at Google I/O 2014. Android Wear has taken a hit in recent days, with the departure of Motorola from the smartwatch market, and new rumors that ASUS will leave the market due to low demand for its ZenWatch series. Google's LG-partnered LG Watch Sport was cancelled at Verizon this week and interested buyers were issued refunds, a sign that Android Wear isn't taking off quite like Google hoped it would.